A staggering number of entrepreneurial women are behind the acclaimed cuisine and grassroots initiatives that make Portland an epicenter of cultural vibrancy. Here, the local, the artisanal, and the authentic is means for celebration. 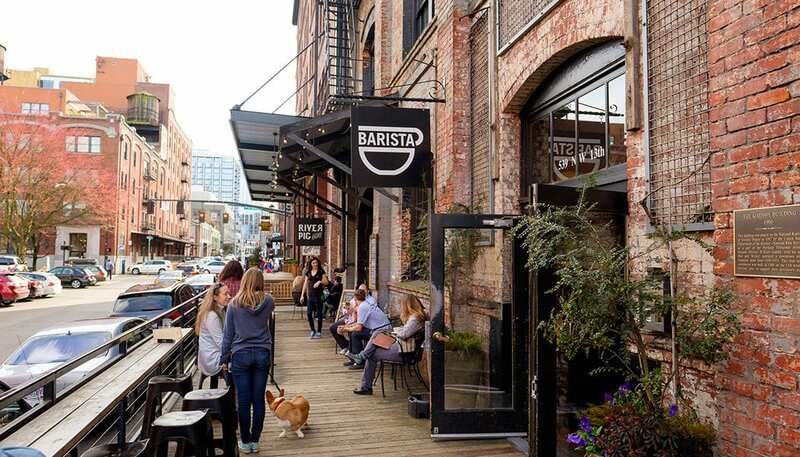 So pull up a seat at one of Portland’s many award-winning restaurants, share a bottle of handcrafted pinot noir, and enjoy the innovative flavors of this Northwestern city. Irish-born Portlander, Emma McIlroy, and Co-Founder, Julia Parsley, nurture the modern woman’s dissidence with sharp cuts for all body types at Wildfang. Designed “For women who like to raise a little hell,” the brand grabbed headlines for their “I Really Care” clothing line in response to First Lady Melania Trump’s confounding choice of outerwear on a visit to an immigrant children’s shelter at the US/Mexico border. Founded and run by women, Wildfang obliterates the fetters of conformity by celebrating a woman’s right to be stylish on her own terms. Ever outspoken in the name of social justice, the Wildfang gang donated over $400,000 to charities supporting women’s rights in 2018. Project Object is a like-minded feminist boutique packed with handcrafted goods forged by local artisans. 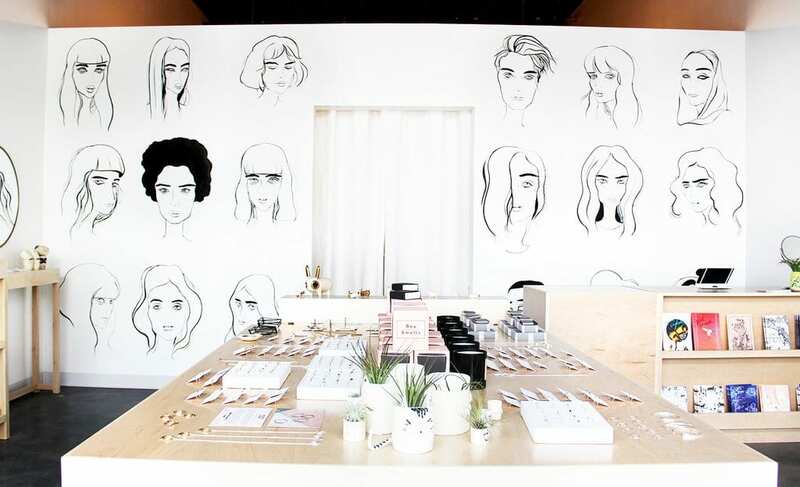 From beauty products to apparel and fine jewelry, Project Object stocks its shelves with wares designed by women, members of the LGBTQ+ community, and people of color. The space also doubles as a rotating gallery in which a new artist’s work is exhibited every few months and additionally hosts scheduled talks and workshops. A percentage of all proceeds go to select non-profits. 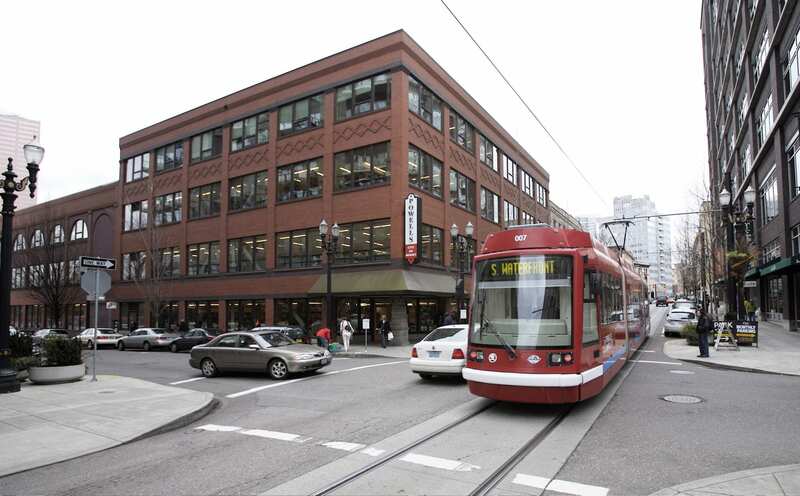 Over in Portland’s Buckman neighborhood, the entire building block at 811 Burnside is occupied by female designers and small business-owners with independent shops selling one-off pieces. 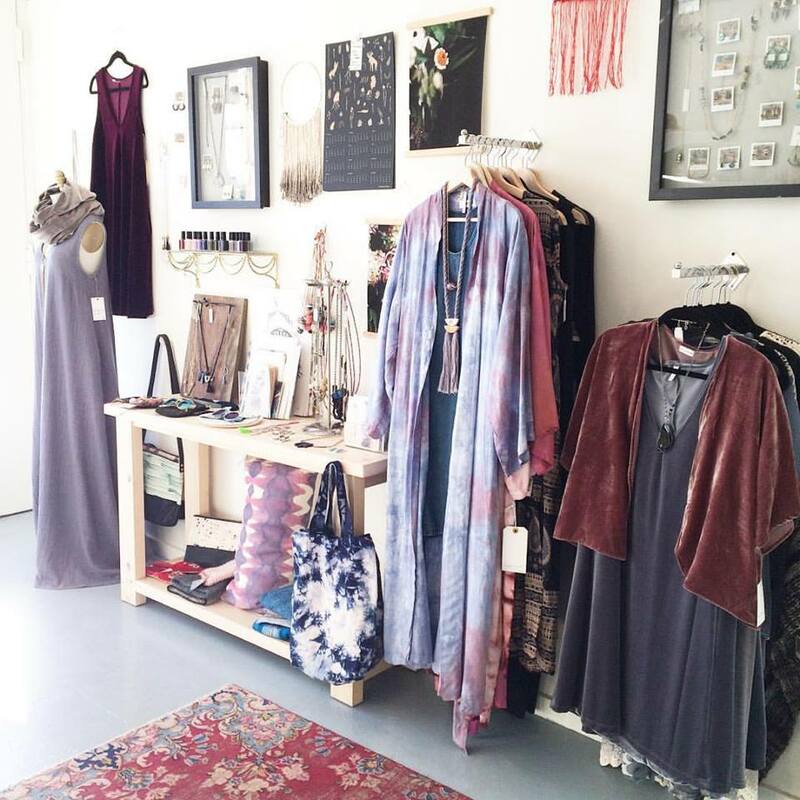 Holly Stalder’s Haunt is a mainstay for one-of-a-kind vintage and locally-crafted garment. 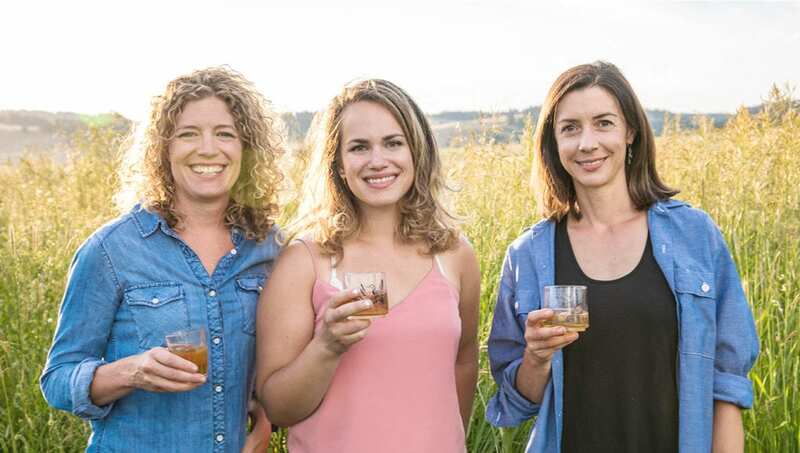 In partnership with Freeland Spirits’ visionary founder Jill Kuehler, the talented Molly Troupe—just named in Forbes’ 30 Under 30 list for food and drink—brings her background in biochemistry and a Masters Degree in Distillation from Heriot Watt University in Edinburgh to the brand’s new tasting room in Slabtown. Just beyond the bar, a rotary evaporator distills fresh ingredients like cucumber and mint through low-temp vacuum pressure, and a striking copper “pot” (albeit an enormous one) processes juniper and 13 other botanicals through traditional heat distillation to yield Freeland’s signature gin. In autumn 2018, the distillery released a pinot barrel-aged bourbon, bottled in the brand’s attractive signature glass vessel. Book a tour of Freeland Spirits’ new facilities and enjoy a cocktail in the sleek tasting room. Named after the Finnish word that describes the steam created from water hitting hot rocks in a sauna, Löyly melts stress and soothes tension with silent and social steam rooms, massage and skin care services, and a tranquil lounge with detoxifying spiced tea, coconut water, and kombucha on offer. 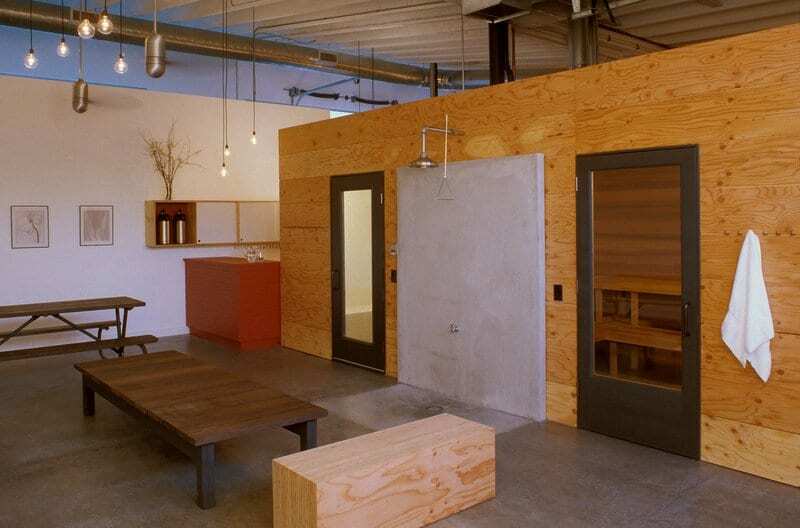 Designed to mimic traditional Scandinavian saunas, Löyly boasts a peaceful alpine aesthetic and two spacious locations in Northeast and Southeast Portland, with women-only hours at designated times on certain days. Visit Löyly’s website for a comprehensive guide to sauna etiquette and to book an appointment. 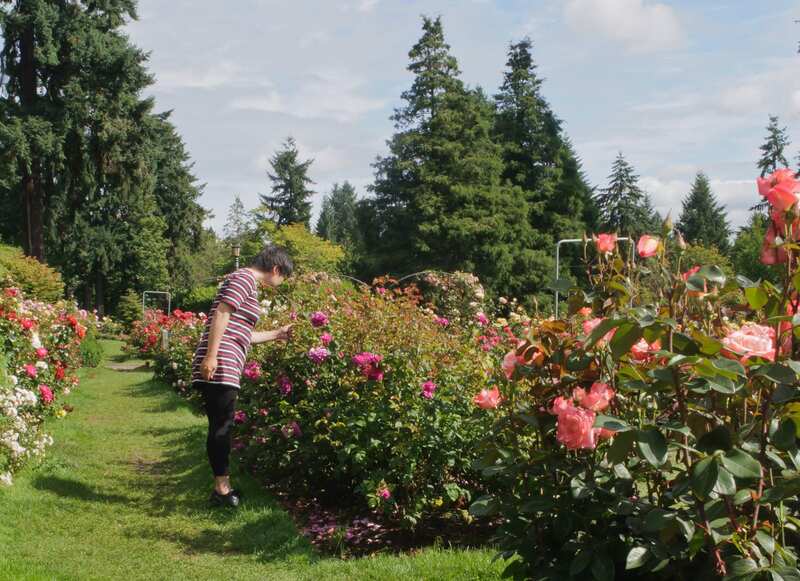 Warm-weather trips to Portland demand an excursion to the city’s International Rose Test Garden, where over 650 types of roses bloom on some 10,000 rose bushes. The roses typically peak in June with blooms between April and October. 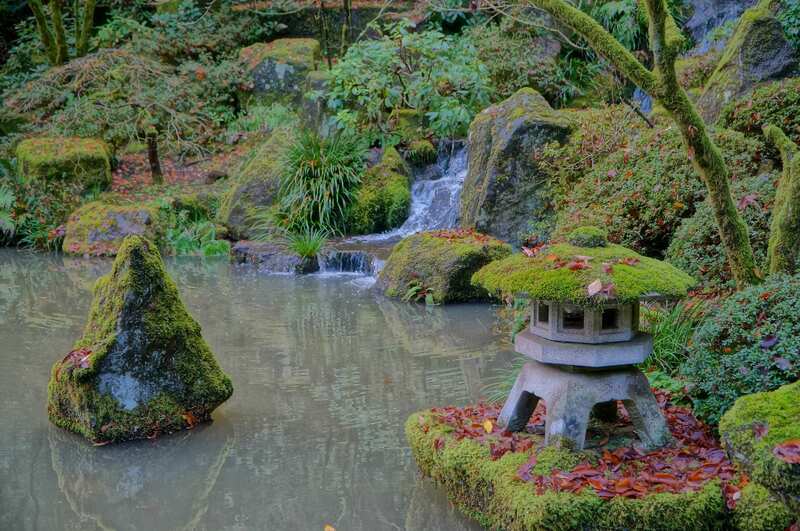 The neighboring Portland Japanese Garden provides tranquil beauty year-round, with eight manicured gardens across 12 acres, a Japanese tea house, and arresting views of the city from Portland’s West Hills. Fun fact: this garden is home to a magnificent Japanese Maple that doubles as the city’s most photographed tree. Legend has stretched the stat to include national and even global acclaim, but it’s a sight to behold regardless, especially in autumn. No trip to Portland is complete without a visit to Powell’s Books, the world’s largest independent bookstore. Its flagship, Powell’s City of Books, houses over one million tomes, and that’s not including the books lining floor-to-ceiling shelves at Powell’s three additional locations across the city. From best-sellers to rare volumes, we’ll hazard a guess that even your most obscure searches will yield results. “Working with your hands is still a noble intellectual pursuit,” says ADX founder Kelly Roy. A co-working space for all manners of makers, Roy’s sprawling, 14,000-square-foot warehouse houses a breadth of workshops for seasoned artisans and the craft-curious alike. Roy, who also consults for similar spaces in smaller Oregon communities, urges visitors to get involved with the creative process from her urban outpost, where the experience of making something is facilitated by a collaborative, educational environment. Schedule a tour of the space, observe skilled makers in action, and get your hands dirty in one of the many workshops on offer, from metalworking to silk screening. Chef Bonnie Morales serves up Soviet fare at Portland mainstay Kachka, where the flavors of Russia, Belarus, Georgia, and Uzbekistan line the tables in this buzzing establishment. Menu highlights include a range of dumplings, hearty mains, and the blowout “Ruskie Zakuski Experience,” which promises to “cover every square inch of your table” with cold appetizers. But it’s the range of vodkas that really elevate the gastronomic experience here; crowd favorites include vodka infused with Earl Grey tea, birch, and horseradish topped with a slice of pickle. Chef Morales has received critical acclaim from Bon Appétit, The Wall Street Journal, and The New York Times, and in November 2017, she released her first cookbook entitled Kachka: A Return to Russian Cooking. Michelle Battista and Kati Reardon are the feminists behind the Nightwood Society, a Portland event space that simply won’t be pigeonholed into any singular label. 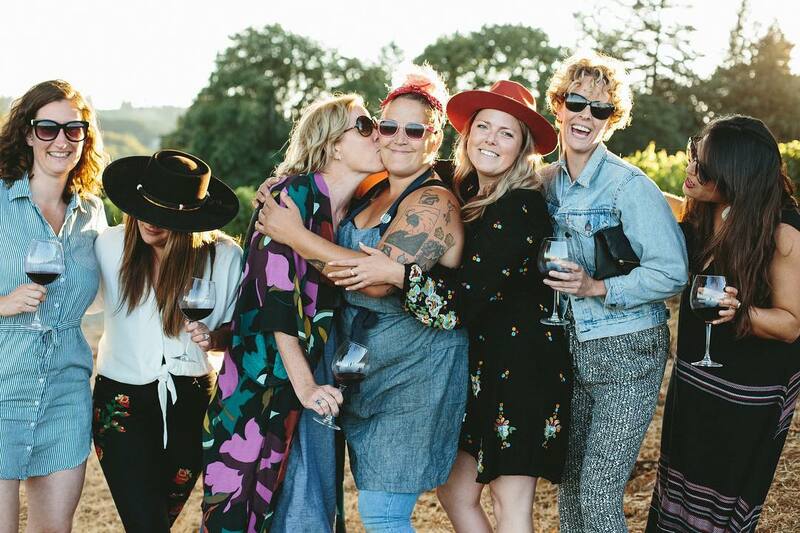 Rather, the Nightwood Society is an entirely female-run and led collective of chefs, butchers, farmers, sommeliers, and cross-disciplinary artists who collaborate to execute legendary occasions—including weddings, dinners, and culinary workshops. 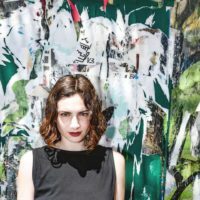 Browse the Nightwood Society’s calendar for tickets to upcoming events. Located in a coveted residential neighborhood atop Mt. 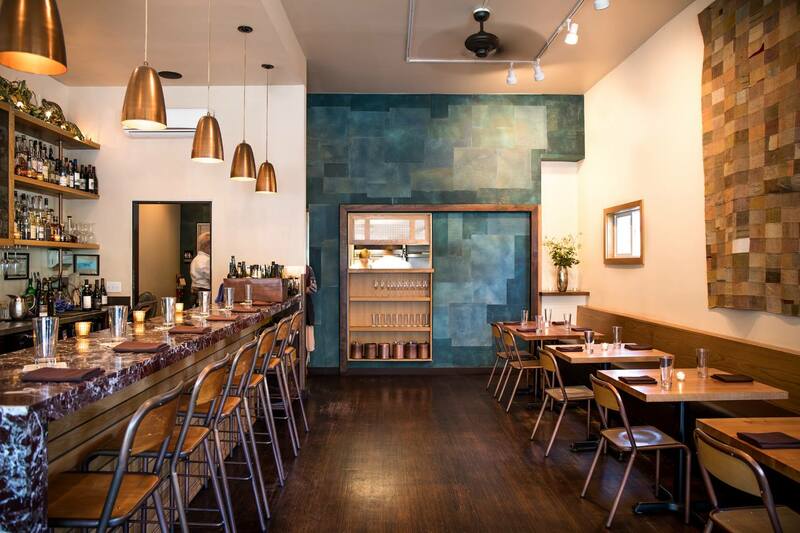 Tabor, Coquine is a local go-to for clean French dishes with a Portland twist. Chef Katy Millard crafts seasonal plates like pasta with parmesan-carrot sauce, brown butter pecans, rosemary, and crispy kale, and a comforting slow-cooked broccoli sandwich with Fontina on French bread—a gourmet grilled cheese, in essence. This intimate eatery offers dinner from Wednesday through Sunday and full-service breakfast and lunch daily as well as a coffee bar stocked with espressos, teas, and a range of baked goods. A word to the wise: don’t leave without indulging in at least one of Coquine’s famous chocolate chip cookies. Kate Norris and Tom Monroe co-founded this popular urban winery in 2012. It has since evolved into Oui! Wine Bar + Restaurant, where Chef Althea Grey Potter constructs delectable bites designed to pair with flavor notes across the range of over 60 wines on offer. 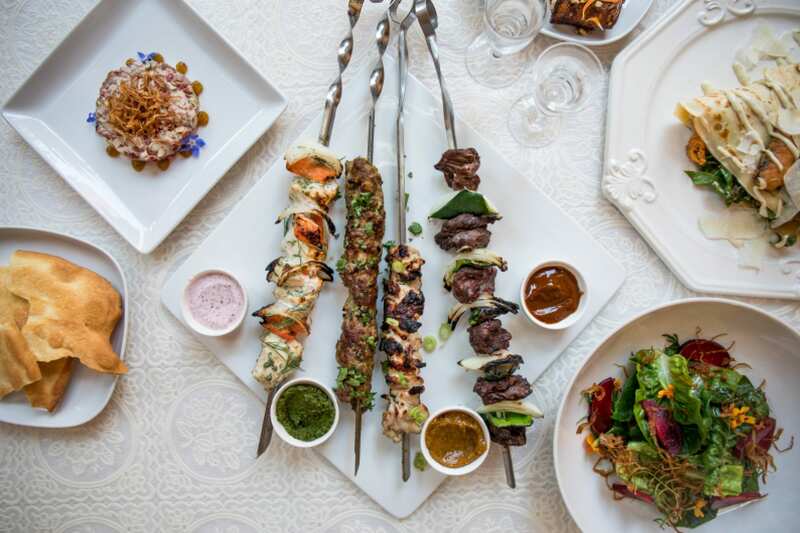 Keep your options open with a wine flight and a five-course tasting menu, which includes the likes of curried carrot hummus, chanterelle mushroom risotto, and a perfectly-prepared roasted chicken with pear, hazelnuts, and sourdough croutons. All the while, glass doors allow diners to glimpse the cellar, where local wines are processed on-site throughout the year. 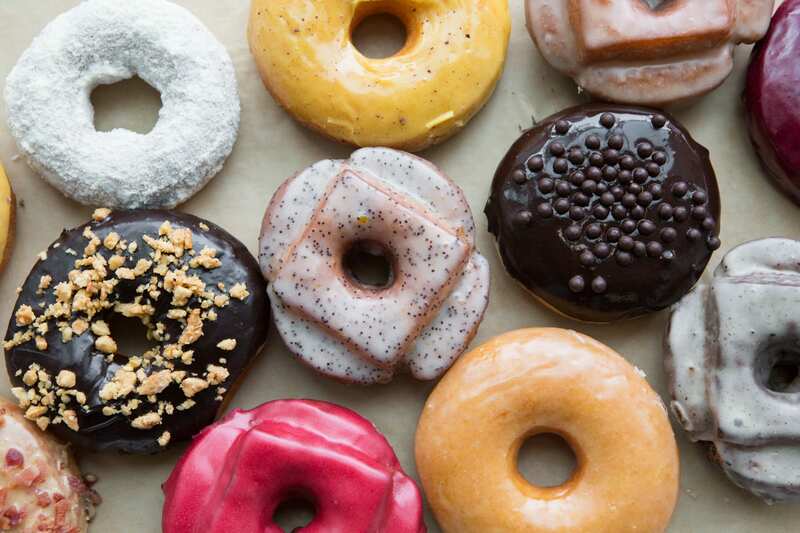 Rise and shine for Blue Star Donuts, Portland’s wildly successful bakeries that dole out “grown-up” iterations of this classic treat. Katie Poppe founded Blue Star Donuts in 2012 with a vision of upgrading an otherwise modest dessert with a handmade brioche base, fresh fruits and herbs, even liqueurs—all the while maintaining a core set of values that benefit customers, communities, and staff alike. With options like PB&J, blueberry bourbon basil, Cointreau (orange liqueur) crème brûlée, and hard apple cider, you may want to leave your self-control at the door. 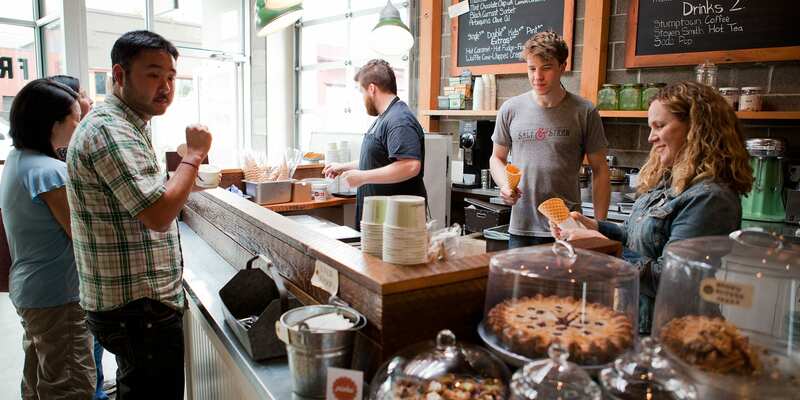 Cousins Kim and Tyler Malek are the dynamic duo behind Salt & Straw, Portland’s most talked about ice cream company. Envisaging a friendly neighborhood hangout that just so happens to offer the city’s most inventive ice cream flavors, Kim endeavored to open her own scoop shop since 1996. Hellbent on bringing her goals to fruition, she cashed in her 401K, sold her house, and followed her dream with a custom push cart. Today, Salt & Straw boasts six brick and mortar locations in Portland, Seattle, Los Angeles, San Diego, San Francisco, and Anaheim, where loyal customers pack parlors across the West Coast for a taste of the unusual handmade ice creams that have since made Salt & Straw a phenomenon. Classic flavors include roasted strawberry coconut, pear and bleu cheese, honey lavender, and almond brittle with salted ganache, while their seasonal choices range from sweet potato casserole with maple pecans to spiced goat cheese and pumpkin pie, even salted caramel with crispy thanksgiving turkey. Ladies rule the roost at the Jupiter NEXT, a stylish addition to Portland’s ever-expanding hospitality scene. 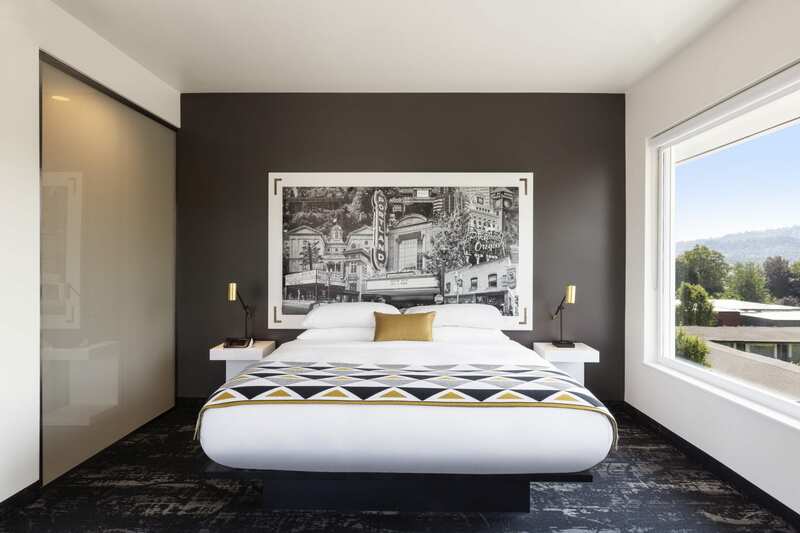 Operating just across the street from the original Jupiter Hotel—an 81-room converted motor lodge on Portland’s east side—the Jupiter NEXT is a modern 67-room building that carries forth the brand’s progressive vision of a sophisticated urban space for Portland’s hippest visitors. Kelsey Bunker and Tod Breslau are the duo behind that vision, responsible for employing the skilled local women behind so many aspects of the hotel’s aesthetic; from Works Progress Architecture’s Carrie Strickland to interior designer Megan Millie, metalworker Laura Sol who fabricated the lobby’s staircase, artist Beth Kerschen whose photo collages double as headboards in each room, and textile purveyor Jala Smith-Huys of Seek & Swoon. The Jupiter NEXT is also home to Hey Love, a lush bar and full-service restaurant lined with exotic plants that’s quickly become a go-to for tropical cocktails and comfort food. Across the street at the Jupiter is Doug Fir, a mainstay for souped-up bar food, happy hour, and a tightly-packed gig schedule. Centrally located in Downtown Portland only a 20-minute drive from the airport, The Porter offers classically luxurious accommodations. The sleek and spacious lobby houses a full-service bar and restaurant as well as a casual but quaint café The Portland Exchange, with a range of coffees and teas, baked goods, small bites, and gourmet grocery items. On the roof, restaurant and lounge Xport boasts scenic views of the city and the mountains. Rustic rooms feature 50-inch televisions and exceptionally plush robes perfect for donning at the Meditation Spa, which is complete with a heated indoor pool and a fitness center offering meditation, yoga, and aqua aerobics. Really so many favorites on this list. Loyly has been my longtime go-to for amazing R&R, and I love stopping by Coquine for Katy’s perfect cookies. But I think my favorite mention was Laura Sol, from Sol Creations! I’m a landscape architect and have worked with her on several projects. She’s the real deal when it comes to tough, stellar Portland women. Thanks for showcasing some of the best people and places in Portland. Gluten Free Gem Bakery is owned by Anne Miller and employs an amazing group of individuals. Well worth a stop regardless of dietary needs.